According to a report from Radio Free Asia (RFA), hundreds of Uyghur students, teachers, staff, and parents affiliated with the Karamay No. 2 High School took part in a peaceful demonstration on October 17, calling upon authorities to punish the perpetrators of an attack against Uyghur students at the high school and asking them to ensure the life and safety of the students. RFA reported that the demonstration followed a violent attack committed by a large group of Chinese students and workers on October 14 that resulted in the hospitalization of some Uyghur students and injuries to more than 10 Uyghurs. In addition, citing a World Uyghur Congress spokesman, RFA reported that Karamay authorities have implemented a blackout on news associated with the attack. The Uyghur American Association (UAA) urges authorities in Karamay to protect the security of Uyghur students at Karamay No. 2 High School, and investigate the reported attack on Uyghur students. UAA further urges Chinese authorities to listen to the demands of Uyghur protestors, and to refrain from persecuting those Uyghurs who have demonstrated or who have sought to inform the outside world about the reported attack. UAA urges Chinese officials to be transparent in conducting legal procedures related to the reported attack at the Karamay school, and to engage in an open dialogue with Uyghur students, parents and teachers in order to guarantee that their demands are heard. According to the RFA report, attackers armed with clubs entered the high school while classes were in session on October 14, injuring more than 10 Uyghurs, three of whom were seriously injured. The report stated that the Uyghur demonstrators originally planned to march toward municipal government offices, but authorities intimidated the demonstrators and restricted them to demonstrating within the campus of the Karamay No. 2 High School. In addition to demanding that the Chinese attackers be punished, demonstrators called for an end to discriminatory policies at the school, and expressed opposition to an official plan to combine the Karamay No. 2 High School, a school attended by Uyghur students, with a school attended by Chinese students. The concerns articulated by demonstrators in Karamay are reminiscent of concerns expressed by demonstrators on July 5, 2009 in the regional capital of Urumchi. On that day, demonstrators called upon Chinese authorities to address the issue of a June 2009 attack on Uyghur workers in Shaoguan, Guangdong Province. During the attack, Chinese workers and others killed and injured an unknown number of Uyghurs. The attack in Shaoguan illustrated a seam of discrimination against Uyghurs in China, as well as the vulnerability of Uyghurs, in the modern Chinese state. The fragility of the status of Uyghurs in China that came to the fore in Shaoguan was felt across East Turkestan. 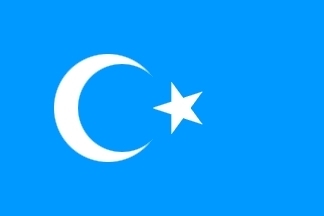 Uyghurs planned a peaceful protest in Urumchi on July 5, 2009 using online forums. The protest was intended to seek greater protection from the Chinese state against such violent expressions of anger directed at Uyghurs. World Uyghur Congress spokesman Dilshat Raxit told RFA that local authorities have sought to block any news of the unrest in Karamay from reaching the outside world. Raxit stated that a 23-year-old Uyghur youth who wrote on the Internet about the October 14 attacks on Uyghur students was arrested on the afternoon of October 17 on charges of spreading rumors and disrupting social stability. He stated that as of October 18, no further news had been heard about the young Uyghur. Raxit told RFA that since the July 5 demonstrations in Urumchi, Uyghurs in Karamay have frequently been subjected to discrimination and violence. He stated that local security forces had failed to implement effective measures to counter the discrimination and violence, causing it to continue unabated, and resulting in incidents like the October 14 attack at Karamay No. 2 High School. The merging of Uyghur and Chinese schools in East Turkestan, one of the concerns reportedly cited by protestors in Karamay, has been carried out in conjunction with an aggressive official effort to implement a monolingual Chinese-language curriculum in schools throughout East Turkestan in recent years. The regional education commission decided in 2004 that the school mergers should be carried out, with the purported aim of providing Uyghurs with a "modern education" and fluency in Mandarin that authorities claim will provide Uyghurs with increased job opportunities. However, Uyghur students, teachers and parents in cities throughout the region have objected to the policy, expressing the belief that government officials are attempting to eliminate the Uyghur language and culture, and protesting against the lack of opportunities to maintain any instruction in the Uyghur language. Karamay, a city located in the northern part of East Turkestan, is known for its oil production and oil refinement. Around three-fourths of Karamay's population is made up of Han Chinese residents, with the remainder made up of Uyghurs, Kazakhs and other ethnicities. Officials in East Turkestan have a long record of implementing news blackouts after violent incidents and demonstrations. After the July 5, 2009 unrest in Urumchi, officials implemented a region-wide communications blackout that effectively shut down the region's Internet for 10 months. Officials also carried out harsh punishment for Uyghur webmasters and journalists, as part of their strategy to manage and control information coming out of the region after July 5, 2009. Thousands of Uyghurs, including those who had peacefully demonstrated, were arbitrarily detained and "forcibly disappeared" in the days, weeks and months after July 5. Among those detained were the owners and staff of many Uyghur websites accused by the government of having promoted "separatism" or "splittism".